It’s hard to deny how powerful social media has gotten. In the last five years, the world has shifted online and interacts through an ever-growing number of social networks. Art, music and self-expression are all a part of what makes me tick. Blog writing is one of the most personal aspects of social media for your business. Assuming leadership and guiding your team is the prerogative for many business owners. Are You Prepared for a Category 5 Design Disaster? 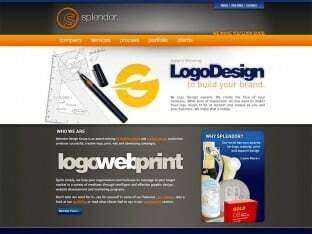 Splendor deals with clients’ design emergencies on a daily basis. Some emergencies are caused by scheduling oversight, some are the result of budgetary constraint, some are the result of previous service (or lack thereof) providers. We are taking our second journey to Antigua, Guatemala in July 2011. We will be working hard to build homes for poor families in the highland areas of Guatemala. Splendor is Moving to Red Bank! 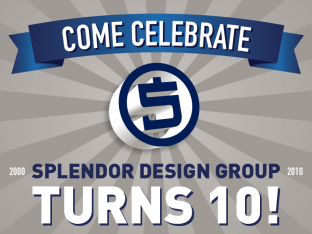 After 10 years in lovely Point Pleasant, Splendor Design Group is relocating to Red Bank, NJ. The cornerstone of many marketing plans these days is the website. Inevitably, most businesses reach a point when word of mouth referrals are not enough to sustain the desired level of growth. 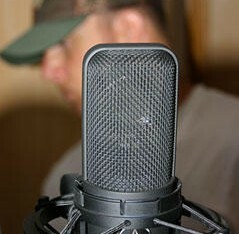 Over the next three articles, we will discuss current, relevant topics and techniques that, when utilized properly, can make a big impact in the marketing and subsequent growth of your business. The sad truth is, in our website design business, we are approached weekly, sometimes daily by prospective clients who are mislead, misinformed or just unaware of the process of hiring a professional web designer. A client recently came to us exclaiming, “It’s the wild wild west out there!” He was referring to the difficulty and overwhelming complexity in contacting, meeting with and comparing website design firms. Splendor Design Group is grateful for a very successful year in 2010. Our case studies section of our website reveals some interesting details of the design projects, as well as the philosophy behind the directions chosen. Showing up in Google, preferably near the top of the first page, is a result of an effective Search Engine Optimization campaign. The Economy is Heating Up! Cold weather has got us NJ natives bundling up, but the economy is definitely making a comeback – at least from what this NJ web design studio is seeing. Wishing everyone a healthy, happy and prosperous year in 2011! It’s hard to believe we’ve been at it for over 10 years. Our team is very grateful for all of our blessings, including all of our wonderful clients who have been a huge part of our success. Linda Wojcio has recently been hired by Splendor Design group as director of business development. 2009. Effective logo design is the culmination of creativity, skill, and understanding. When a brand is represented by a logo, the logo needs to speak to the target audience and communicate the brands value. Local athlete in New Jersey Joe Donohue needed some help to get himself to Hawaii for the biggest triathlon in the world. Start at the finish line. You need to identify a desired destination or goal. For most businesses, there is one very common goal near the top of their lists: Create more leads, more sales, and more revenue. 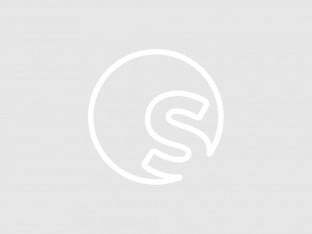 Rather than sell you on an undefined, mysterious bundle of services promising you magical results, Splendor Design Group encourages you to become involved. We believe that a well informed customer is our best customer. We have prepared a series of articles that establish some groundwork for your business. 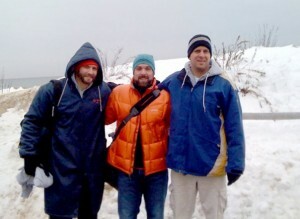 Saturday, Feb 13, 2010, Adam, Keith and Patrick – and about 300+ other knuckleheads – took the Valentine Plunge for ALS. Many iterations ago, this is what our website looked like circa 2009.